This intensely firming, smoothing and restorative cream-oil helps to rebalance skin and revive its youthful suppleness, while offering the comfort of an oil in a cream texture. The formula visibly minimizes the gradual effects of aging, which can lead to the appearance of wrinkles and discomfort. After four weeks of use, the complexion is visibly smoother by 46%*. Discovered after 12 years of research, potent and concentrated 3.5-DA** detects and targets the individual factors of aging. The ingredient promotes skin elasticity to help lift and recontour the face, and provide optimal firming and smoothing benefits. To enrich the actions of 3.5-DA**, a unique Restorative Complex  featuring lipid-replenishing oils rich in Omega-6 and Omega-9, and Shea Butter extracts  helps to strengthen, hydrate and protect skin. An ingredient similar to ceramides, molecules naturally present in skin, comforts the complexion by maintaining moisture. 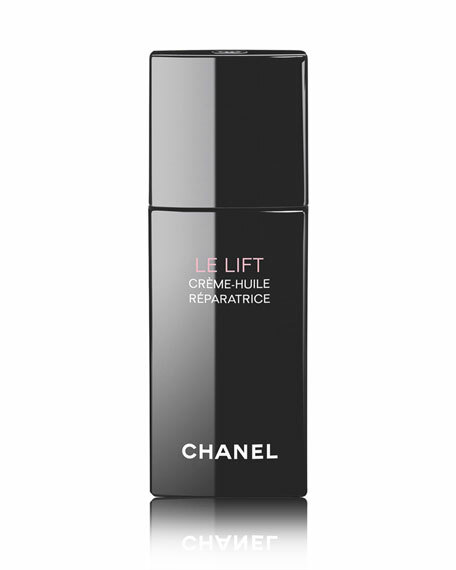 Apply morning and evening to entire face and neck, following LE LIFT CRÈME YEUX and LE LIFT SÉRUM. Avoid eye area. *Clinical evaluation on 32 women after four weeks.